This applicator tool is longer than the usual wand that most glosses come with so you can reach the bottom of your gloss tube. You also don't need to use this rubber-based tip applicator for the entire time, as it comes in its own tube (shown on the left) for storage. 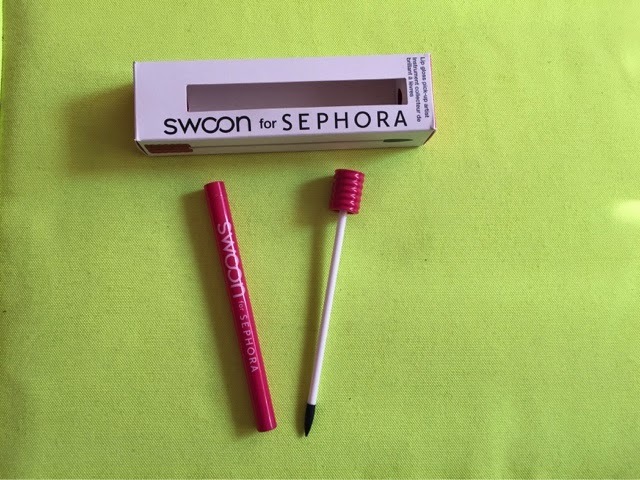 Just like makeup brushes, the Swoon for Sephora tool is a must-have for all gloss-wearers, gloss-lovers, gloss-everyone! I've also discovered it's multi-uses include getting to the bottom of other sample products, eye cream tubes, etc. It's also pointy, sturdy and easy to clean so definitely reusable, especially with its $12 price tag. Definitely worth the investment!